Although it has become somewhat of a fashion to criticise mainstream things and the same is also true for The Big Bang Theory, we must not forget that it is called ‘mainstream’ for some reason. You’ve got to agree… they were given an unlikable subject and they turned it into something hilariously appreciable. If you still haven’t seen the show (and you better have a good excuse for that), here are nine of the most compelling reasons I thought of for you to watch The Big Bang Theory. 1. Doctor Sheldon Cooper, Bazinga! Doctor Sheldon Cooper, a theoretical physicist and the King of Nerds, is the favourite character for most viewers. His character is considered to be one of the key reasons behind the sustained success of the show which is well into its seventh season. And of course, who can forget his knocking thrice on someone’s door while calling out their name? The audience realised the extent of this particular superstition when Penny – his neighbour – opened the door after the second knock in one episode. This made Sheldon so uncomfortable that he knocked on the frame of the open door saying “Penny” in a relatively low voice – just to complete his ‘count of three’. Doctor Leonard Hofstadter is an experimental physicist and Sheldon’s roommate. He has had a difficult childhood since his mother was an unaffectionate, distanced parent who preferred to analyse Leonard’s behaviour – being a psychiatrist and neuro-scientist – than nurture him. His expertise lies in the area of Applied Physics. He’s shown executing a number of scientific experiments using state-of-the-art equipment in the laboratory. One of my favourite moments from the show is when he shows Penny, who also happens to be his girlfriend (by some weird twist of fate since she is an attractive, popular girl while he is a certified geek) some of the latest experiments in physics including the Holographic Principle using a laser in the lab. His favourite dream is that he’s a ladies’ man. He is also the only member of the geek gang who does not have a doctorate degree and hence, he often has to face mockery over his incompetency in this regard, especially from Sheldon, who leaves no stone unturned in ridiculing him. Although he doesn’t have a PhD, he is an aerospace engineer and has had the rare opportunity to visit the International Space Station. Howard also imitates Stephen Hawking’s robotic voice very accurately, sending the audience into fits of laughter throughout the series. Koothrapali can’t talk to women without being drunk. To counter that, every time he has something to say to a woman, he whispers in Howard’s ear, this gives many people the impression that the two are involved in a gay relationship – this offends both Koothrappali and Wolowitz. The way Raj’s parents interrogate him regarding the dubious nature of their relationship is also quite entertaining. In the current season’s episodes, however, he has managed to overcome his nerves and has conversations with women without needing to drink. His characteristic Indian accent and his failure to understand the American life style also adds to the show’s humour. 5. A Penny for your thoughts? Penny is Sheldon and Leonard’s cute, bubbly neighbour and Leonard has had the hots for her since the day she moved in. She plays an unsuccessful actress who is stuck being a waitress at the Cheesecake Factory, while pursuing her dream of making it big in Hollywood. Her adorable looks and amusing dialogue delivery keeps viewers hooked, especially her love-hate relationship with Sheldon. The inspiration for the show came from two real-life geeky computer programmers. However, instead of being limited to computer jargon and concepts only, The Big Bang Theory includes natural sciences, particularly physics. 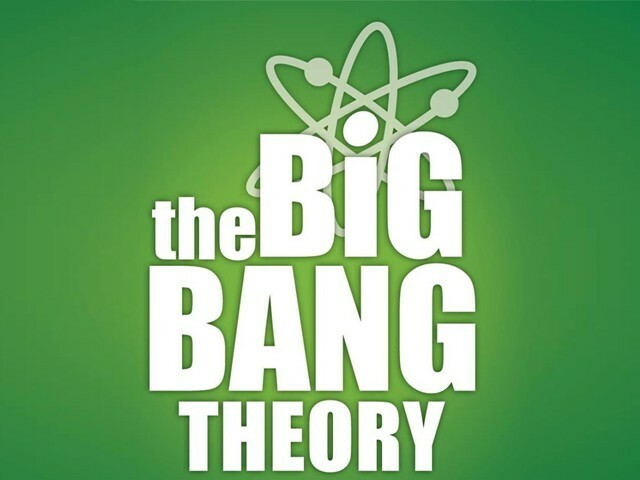 This allowed the producers to encompass subjects about literally the entire universe including biology, cosmology, chemistry, mathematics, computer science, history, geography, linguistics and other topics of general knowledge. Even the title soundtrack which begins with Our Whole Universe was in a hot dense state…says a lot about the show’s content. The show is a great source of knowledge, information and even inspiration for people of all age groups; and that too in a fun way. Before this show, I didn’t think physics could be fun either. 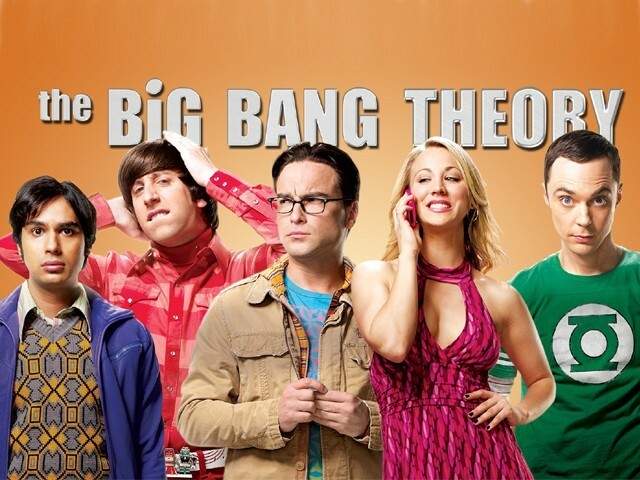 Although a show of geeks, The Big Bang Theory is not specifically for geeks and can be enjoyed by people from all backgrounds and with varied interests, making it currently one of the most popular shows on air. There is an eclectic diversity of jokes from scientific jokes to mainstream puns. Add to this the expressions and dialogue deliveries of all the characters and I can guarantee an evening of endless laughter. 8. Calling all comic fans! There’s even something for comic and gaming fans on The Big Bang Theory. All four nerds – Sheldon, Leonard, Howard and Raj – are fond of comic books, movies, characters and games. There are extensive references to the comic world, especially superheroes like Batman, Hulk, Spider Man, Wonder Woman, Spock, Yoda, The Flash and others. The characters are also shown to be obsessed with sci-fi movies, particularly Star Trek and Star Wars. The characters are die-hard gamers as well and Wednesday night is Halo night – always. Most of the games they play are based on comic characters. 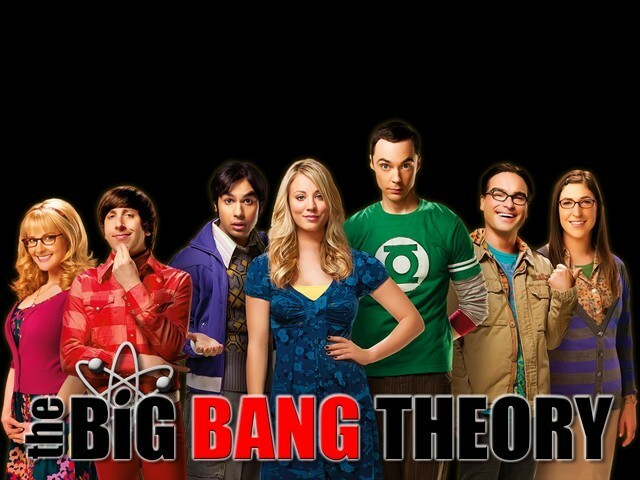 The Big Bang Theory is not just another geeky comedy show. The effort put in the content, characters and script is apparent and it is this splendid combination that makes the show such a success. The dialogues written for Sheldon specifically deserve a standing ovation – not to mention his superb, dead-pan delivery of those dialogues. The detailing that has gone into the show can be gauged by the fact that it has an official science advisor – David Saltzberg from the University of California, Los Angeles (UCLA) – who reviews the script for technicalities and makes any corrections necessary before the recording. The ingeniously penned script is one of the key reasons I watch the show and the writers’ technique and efforts are worth praising. All in all, after a long, hard day at work I look forward to crashing on the couch and watching my four geeky friends and their hilarious antics. I can think of no better way to unwind. All you really need to enjoy this show is a sense of humour, watch it (if you still haven’t) and I’m sure you will agree with me! Whats the point of making an article about TBBT when it is already halfway through 7th season? Oh it is your “prime time” TV analysts like Zaid Hamid that talk about it. It is the Pakistani youth led by such people that finds a conspiracy about everything happening in Pakistan and the Indians, Israelis, Americans are blamed for all of Pakistan’s problems – and you can’t deny that! We Indians just find it funny, when we read such comments usually by the Pakistani youth or by their popular “Defence Analysts”. lol you’re the one that brought it up on a blog post that was completely irrelevant.